Xbox, the Microsoft-owned games console, has renewed its six-figure sponsorship and product placement partnership with the James Corden-fronted Sky1's sports quiz 'A League Of Their Own'. 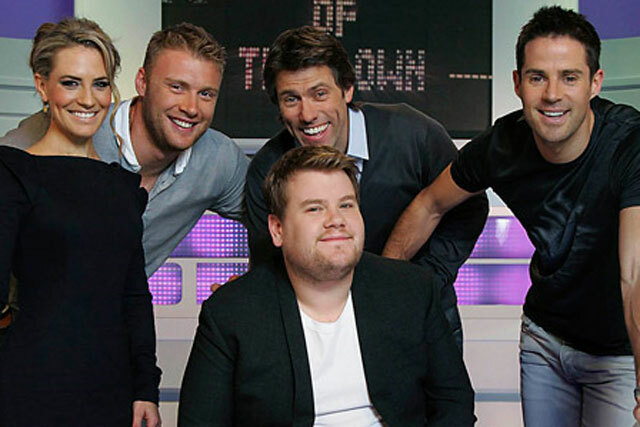 Corden is joined on the sports-based comedy quiz by former footballer Jamie Redknapp and former cricketer Andrew Flintoff as team captains and comedian John Bishop and 'Sky Sports News' presenter Georgie Thompson as regular panellists. In line with the last series, the title sequence of the programme will feature members of the studio audience playing the Xbox 360 game 'Kinect Sports Season 2' but further placements could be used later in the series. 'A League Of Their Own' starts this evening at 6pm. The series consists of eight main programmes and two compilation shows of the best and unseen footage. Product placement has been allowed on UK-originated programming since February. The last series of 'A League Of Their Own' featured the audience playing the Xbox and was the first product placement to appear on a BSkyB-owned channel. Stephen McGill, director, Xbox and entertainment, retail sales and marketing division at Microsoft UK, said: "This time what Sky has been able to deliver not only shows the fun to be had for Kinect for our audience, but enhances Xbox's pioneering spirit." The deal was negotiated by Interpublic media agency UM London. Rory Behrman, ideation director at UM London, said: "We know from our earlier partnership that 'A League Of Their Own' really resonates with the core 16-34 male Xbox audience. "Using product placement and experiential media within the show allows our audience to get really hands-on with the product and experience the fun of it for themselves, which we know is a key factor in influencing consideration."